Individual account balance plans or defined contribution plans are types of retirement plans that provide an individual account for each plan participant. Benefits in these plans are based solely upon the amount contributed to the account, plus or minus any income, expenses, gain, and losses allocated to the account. The employee or the employer (or both) contribute to the account under the plan, sometimes at a set rate. This article explores different plan types. Contributions generally are invested on the employee's behalf, and the account value will vary over time due to investment market fluctuations. The employee will ultimately receive the balance in their account, although there may be a vesting schedule for any employer contributions. plans, money purchase, employee stock ownership plans, profit-sharing plans, and 457 plans. Details on each plan type appear below. • A 401(k) Plan is a cash or deferred compensation arrangement. Employees can elect to defer receiving a portion of their current salary, which is instead contributed on their behalf, before taxes, to the plan. Special rules apply to 401(k) plans, including non-discrimination requirements, as well as upper and lower limits on the amount an employee can elect to contribute. To encourage employees to participate in a 401(k) plan, many employers provide matching contributions. Employers are not required to offer a 401(k) match but many employers do so because it makes it easier to satisfy applicable non-discrimination rules. Sometimes an employer may make “non-elective contributions,” without regard to whether or not an employee makes an elective contribution. Depending upon the amount of the nonelective contribution, the plan may qualify as a “safe harbor”, eliminating the need for discrimination testing and possibility of mandatory refunds to highly compensated participants. Employees who participate in 401(k) plans assume responsibility for their retirement income by contributing part of their salary and, in many instances, by directing their own investment selections. • A 403(b) plan is a retirement plan for certain public school employees, employees of tax-exempt organizations and ministers. Individual 403(b) accounts are established and maintained by eligible employees. The employer may determine the financial institution at which individual employees may maintain their 403(b) accounts, such as an annuity contract provided through an insurance company, a custodial account provided through a retirement account custodian, or a retirement income account. This plan is very similar to the 401(k) plan. Participants must be qualified for this plan. • A Money Purchase Pension Plan is a plan that requires fixed annual contributions from the employer to the employee's individual account. Contributions must be made to a money purchase pension plan even if the employer has no profits. • An Employee Stock Ownership Plan (ESOP) is a form of defined contribution plan in which the investments are primarily in employer stock. ESOPs are subject to additional requirements that do not apply to other plans that hold employer stock, e.g., voting rights must generally be passed through to ESOP participants, participants must generally have the right to receive benefits in the form of employer securities, and certain ESOP participants must be given the right to diversify a portion of their plan benefits. • Profit Sharing Plan or Stock Bonus Plan is a defined contribution plan under which the plan may provide, or the employer may determine, annually, how much will be contributed to the plan (out of profits or otherwise). The plan contains a formula for allocating to each participant a portion of each annual contribution. Amounts contributed to the plan are invested and accumulate tax deferred for eventual distribution to participants or their beneficiaries. Typically, once the employer makes its contribution, the participant makes the investment choices. Profit sharing plans to not require “profits,” only the willingness of the employer to direct resources to the plan. • A 457 plan is a non-qualified, deferred compensation plan established by state and local governments and tax-exempt governments and tax-exempt employers. Eligible employees are allowed to make salary deferral contributions to the plan. Earnings grow on a tax-deferred basis and contributions are not taxed until the assets are distributed from the plan. ABOUT THE AUTHOR: Pension and ERISA Expert Mark Johnson, Ph.D., J.D. 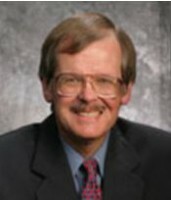 Mark Johnson, Ph.D., J.D., is a highly experienced ERISA expert. As a former ERISA Plan Managing Director and plan fiduciary for a Fortune 500 company, Dr. Johnson has practical knowledge of plan documents as well as an in-depth understanding of ERISA obligations. He works as an expert consultant and witness on 401(k), ESOP and pension fiduciary liability; retiree medical benefit coverage; third party administrator disputes; individual benefit claims; pension benefits in bankruptcy; long term disability benefits; and cash conversion balances. ERISA Benefits Consulting, Inc. by Mark Johnson provides benefit consulting and advisory services and does not engage in the practice of law.